"Because everything gets better with coffee". 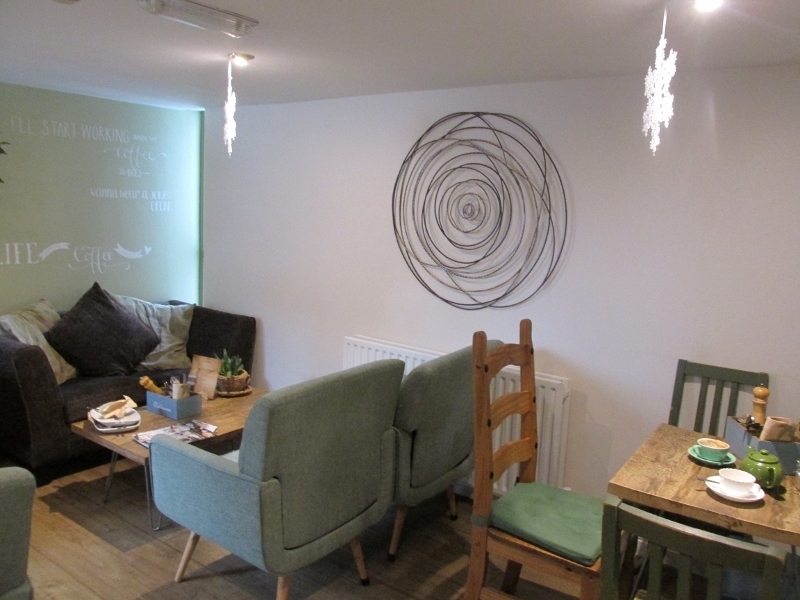 It is quite some boast, but one that a new, recently opened café in the heart of rural Staffordshire is more than happy to make. 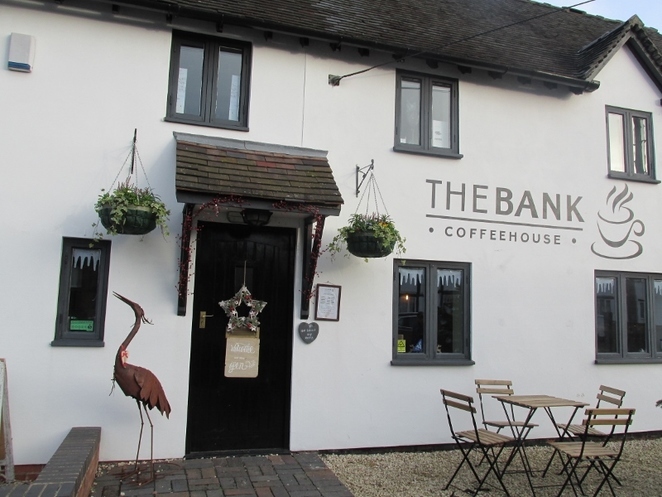 The Bank Coffeehouse, situated on the main road running through the middle of the beautiful village of Alrewas, near Lichfield, would appear to be thriving on the back of its 'coffee at all cost' approach. It was certainly enjoying a good trade on the day that I popped in while waiting for my wife to have her hair done across the road. The Bank, which opened in May this year in what was a former shop and also a bank - hence the name - not surprisingly specialises in serving freshly roasted coffee, as well as locally sourced food. In the modern age of largely soul-less coffee chain brands, it is literally refreshing to find an independent outlet like this which clearly seems to put the emphasis on customer satisfaction. Whatever the former bank and retail premises may have looked like, the owner of The Bank, Jane Reilly, has done wonders in fitting out the interior with a variety of separate, comfortable seating areas, including a pleasant looking hideaway spot at the rear which remained occupied throughout my visit. There is no shortage of available seating inside without ever feeling cramped for space, even when a group of cyclists - who seem to regard The Bank as a vital re-fuelling stop - popped in during my stay. Although I was just having a coffee - a 6oz or 8oz Americano at just £2 a cup - The Bank also provides an appetising menu with all the food found from local suppliers. This includes bacon and sausages from Coates butchers just across the road in the same village and a selection of jams and cakes which are made in Alrewas. The menu ranges from bacon or sausage sandwiches and locally made soup to jacket potatoes, scones with jam and cream, and Cornish pasties with a speciality filling. 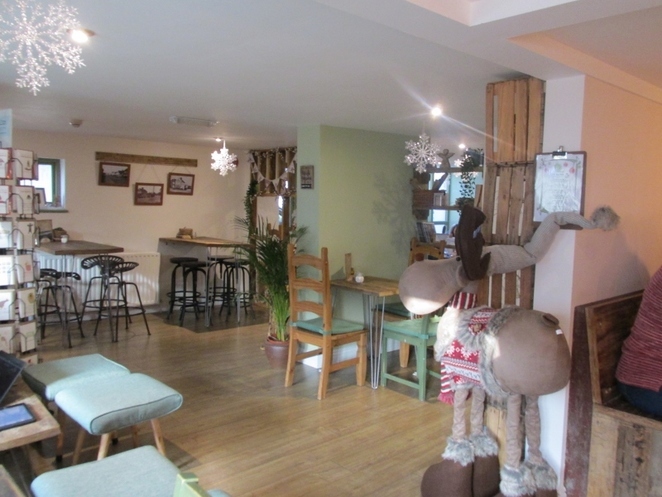 In addition, there is a range of coffees and teas starting at just £1.80 a cup, with a reward card scheme whereby you get a free drink when you collect seven stamps.